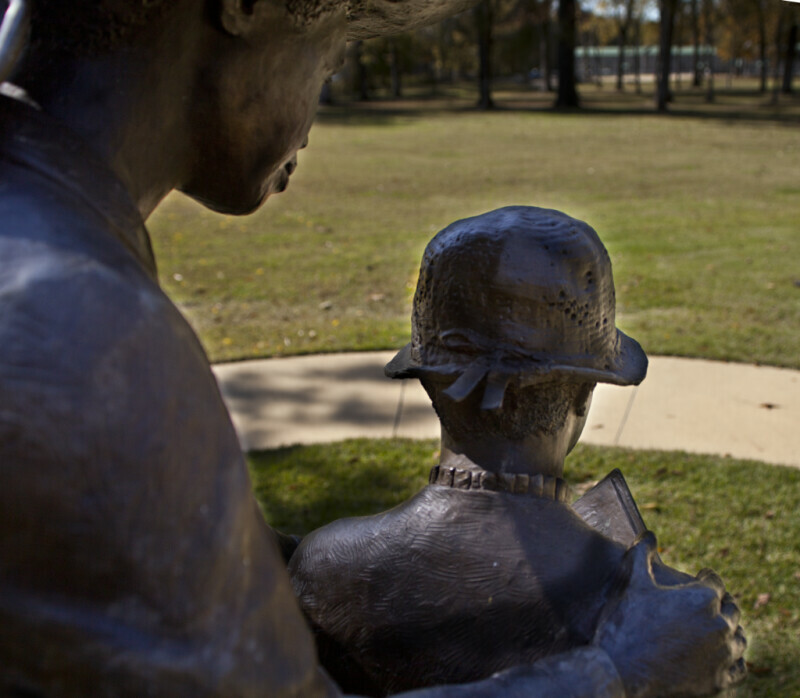 This bronze sculpture, at Corinth Contraband Camp, is known as “Woman and Child Reading.” The bronze figures in the park all depict some facet of daily life, from when the camp was active. This photograph provides a view over the shoulders of the reading figures. There is a paved walkway around the sculpture.